Gone are days when you had to sit in front of your TV to watch your favorite TV Series or movies! After the dawn of digital monopoly, Internet has become your single gateway to entertainment — let that be about movies, TV series or other kinds of video content. Of course, we are not talking about the piracy stuff, where it is illegal to download & watch the content. On the other hand, there are several streaming services that let you watch your favorite movies or TV Series. Among the list of top streaming sites, we have Netflix and Hulu, which often put customers in a dubious state. Indeed, there are a few aspects you should consider before you select one from the duo, such as availability of content and pricing. 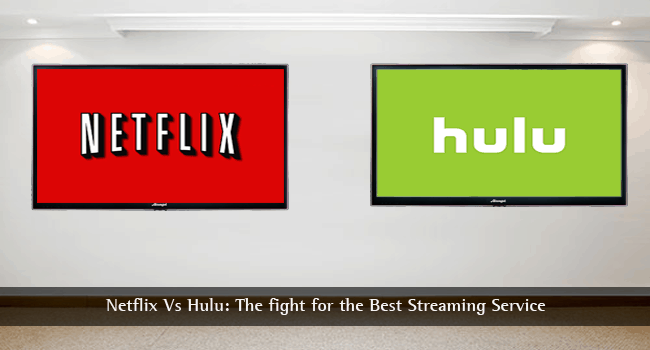 In this article, we shall have a brief comparison between Netflix and Hulu, so that you can find the most appropriate service for your need. If you are planning to watch your favorite TV series episodes using an online streaming service, there is a selection to make between Netflix and Hulu. Netflix is noted for the complete, comprehensive and easy-to-access collection of TV series episodes. It is a fact that you might not be able to find the newest episodes on Netflix. Actually, it may take more than a few days to see those episodes in Netflix library. In addition, it can be seen that the library consists of almost all previous seasons, which is a good thing when you want to watch an entire season or the whole series through the service. In short, we can say that Netflix has a robust collection of both TV series and films. Hulu is quite a lot different from Netflix in this matter. Hulu is known for providing the latest episodes of TV shows in the next day itself. That is, if one episode is aired on Monday, you will get the same episode in Hulu on Tuesday. So, if you are trying to watch TV series episodes as soon as they are aired, Hulu is the better option. At the same time, it can be seen that Hulu content library — though it is versatile — is not that bulky. In most cases, you may fail to find a previous episode or season in the list. Hulu has, however, a stronger hold on less-popular genres like Anime. As you would know, streaming services like Netflix and Hulu are noted for exclusive content — meaning that a series or an episode would be available in a particular service only. As we go deep into the availability of exclusive content, Hulu and Netflix are at two poles. From the political drama House of Cards to the Orange is the New Black, Netflix has a truly impressive collection of exclusive content to offer. The library of Netflix is often recommended, not only for the bulkiness but also for quality of the content. Apart from the currently-popular series in the list, Netflix keeps enriching their collection of exclusive content, day by day, which is a great reason to go for it. Hulu lags behind Netflix if we take the case of original, exclusive. This isn’t to say that you don’t get any original ones in Hulu. On the other hand, the titles in Hulu are not quality rich and the collection is also week. For instance, Behind the Mask or Deadbeat can be seen the good ones among Hulu’s library, but the collection is still not that effective. Indeed, when you have many devices — running on different platforms —, you would be concerned about this. And, quite expectedly, there’s a kind of tie. Talking of platform availability, both Netflix and Hulu are available in PC, Mac, Android, iOS etc. Apart from this, you can use the service in devices such as your PlayStation or Xbox. The course will be smooth if you have a Roku, Apple TV or Google TV with you. So, there we have a tie between Hulu and Netflix. As we come to the case of quality, however, Netflix has an upper hand. Provided that you have a powerful internet connection and compatible hardware, the best form of 1080p streaming is offered by Netflix, along with its surround sound technologies. In addition, despite the upper hand in quality, Netflix has relatively lower requirement of bandwidth allocation in the end. We have already mentioned that Netflix has a truly impressive library of content. The opinion is same if we’re taking the case of movies. Including both the hit types and critically acclaimed types, Netflix can get you almost all the films you are looking for. The collection of Hulu isn’t that big; nor does it include the quite-popular films. That having said, the Criterion sector of Hulu can be useful when you want to have a set of critically-acclaimed films and classics on your device screen. So, there is a choice from the user part. Netflix offers three different plans, depending upon the features you need. For instance, if you want to enable multi-device streaming at a time, you need to purchase the second plan or so. On the other hand, if you are okay with the non-HD environment, the basic plan would do the job. Nevertheless, in all these plans, you won’t be having the issue of annoying advertisements. This is where Hulu really disappoints users! Even when you purchase the basic premium plan, you are not completely escaped from those annoying advertisements out there. And, if you want to get rid of commercials, you need to pay an extra amount, thus purchasing the higher plan. If you want to have an uninterrupted viewing experience, there are chances that you would prefer Netflix to Hulu. It is clear that you cannot just say ‘This one is best’. It’s so because different people have different requirements as it comes to choosing a streaming service. 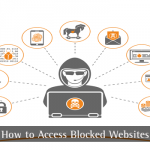 Based on the above mentioned factors, we can give an overview. You should go with Netflix if you want to have a detailed, bulky and comprehensive library of movies and TV series. It will be possible to find the different episodes and seasons of one series, although the availability of newer episodes won’t be that quick. Also, in the good environment, Netflix gives you best streaming quality and performance in full-HD. Also, you have an extra reason to choose Netflix — if you love the original content like House of Cards. Hulu is the optimal choice when you need latest TV series content to be available in your devices. There may be the problem of annoying advertisements and extra bandwidth use, but you can stay up to date with the content flow. Its exclusive content section may not be that promising, but the titles are worth having a look at, we can say. That being said, Hulu has a collection of classic and critically-acclaimed movies to check out, which some of you may love. So, depending on the factors you really need and the money you can pay per month, you can choose Netflix or Hulu; the choice can be really subjective, and we keep it neutral, for your convenience. By the way, which is the streaming service you use? Do let us know. I tried Netflix, but unfortunately in italy there aren’t so many movies on it yet. Its been a while, I guess both are the great platforms to stream movies and videos. Netflix is my favorite. Hi, thanks for sharing, congratulations ! good Comparison, I have been using Netflix but I will try to use Hulu for test! Thanks for such a great article. Nice post. Both Netflix and Hulu are amazing. I think Netflix and Hulu both are amazing sites for free movie streaming. I tried Netflix. Really its too easy and wonderful. Thanx a lot for sharing this great stuff. Keep it up more. I still prefer the netflix the two are great but without doubts the netflix surpasses and much, thanks for this article. For me NetFlix remains the best, but it’s always good to have competition. I think Netflix has more features available and at a very good cost! Netflix’s original content is way better than Hulu’s IMO. My hand is on Hulu, it’s the best for me so far and I would never change them. Netflix is unbeatable. The best without a doubt! I love Netflix. My baby calms down with the drawings there.